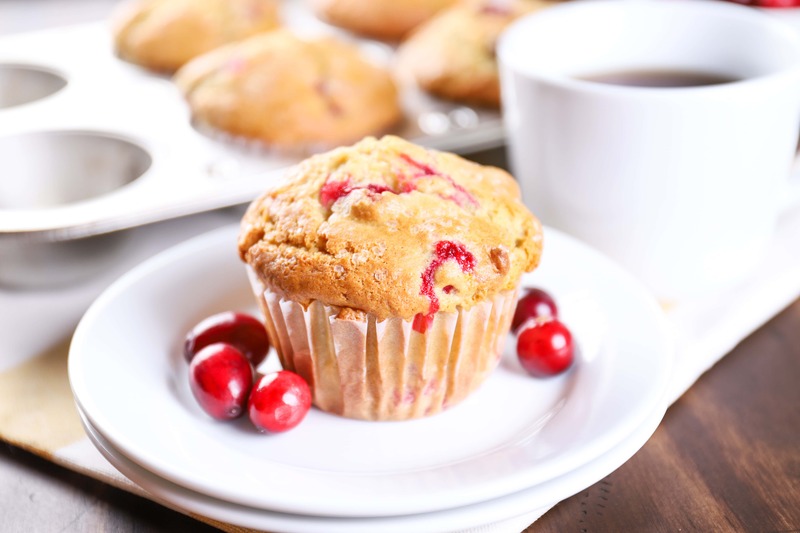 This easy Bakery Style Cranberry Orange Muffin recipe is the perfect addition to any breakfast or the best pairing to your next cup of coffee! 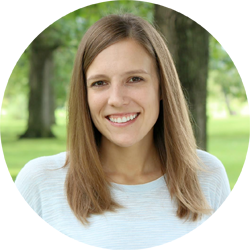 We just got back from a long vacation where the sun was shining, the weather was warm, and the grass was green. When we arrived home the sun wasn’t shining, the weather wasn’t warm, and you couldn’t tell what color the grass was because it was covered in snow. But I have to admit, as nice as it was to soak up some sun by the ocean, I love the snow. It just isn’t the Christmas season without cold, crisp air and a fresh blanket of snow. And that is what we arrived home to. And I couldn’t be happier! 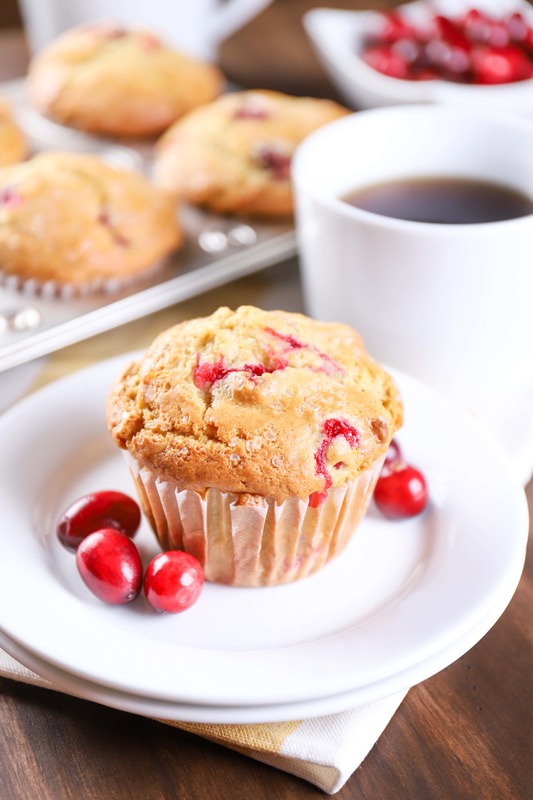 Although it would be nice to have a couple of these bakery style cranberry orange muffins to munch on. I made these for a snack to have on hand during the busyness of getting ready for Thanksgiving and our trip, and they disappeared in no time. Thankfully they are super easy to make, so it didn’t take long for a second batch to appear! 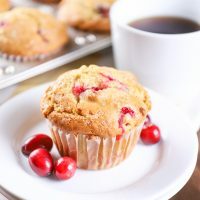 They are a combination of our favorite blackberry raspberry coffee cake muffins and bakery style lemon poppy seed muffins and may have become our new favorite! 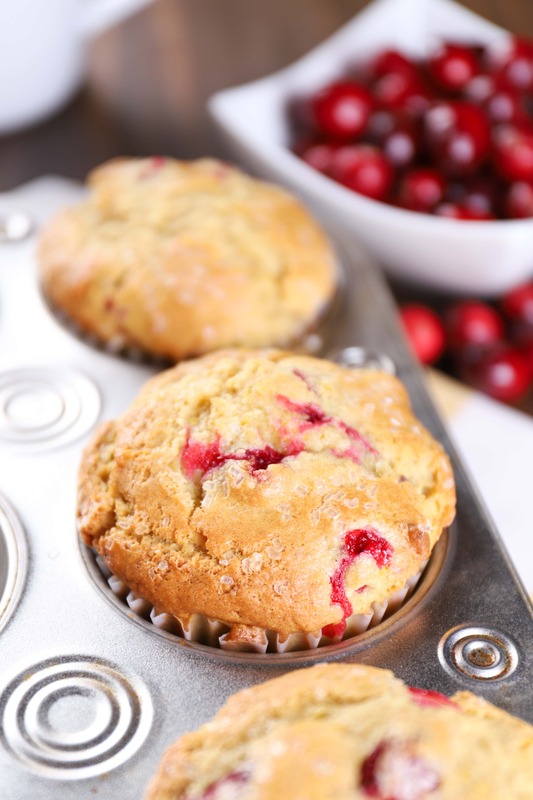 Tender and light, these cranberry orange muffins are filled with the bright, fresh flavors of cranberries and oranges. Both fresh orange juice and orange zest are used to create that bright citrusy flavor that is so good this time of year. Fresh cranberries are added for a bit of tartness and to create that classic cranberry orange combo that is a traditional favorite. A sprinkling of coarse sugar right before baking gives these muffins a bit of a crunch with each bite and finishes them off perfectly! Mix in the wet ingredients just until combined. 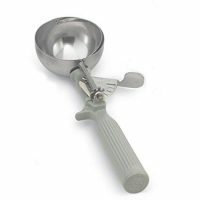 This will keep the muffins light and fluffy. Sprinkling the batter with coarse sugar before baking will give the top a bit of crunch and texture. If you don’t have fresh oranges, you can use orange juice and skip the orange zest. Just know that the orange flavor won’t be as strong or fresh. Preheat oven to 350. 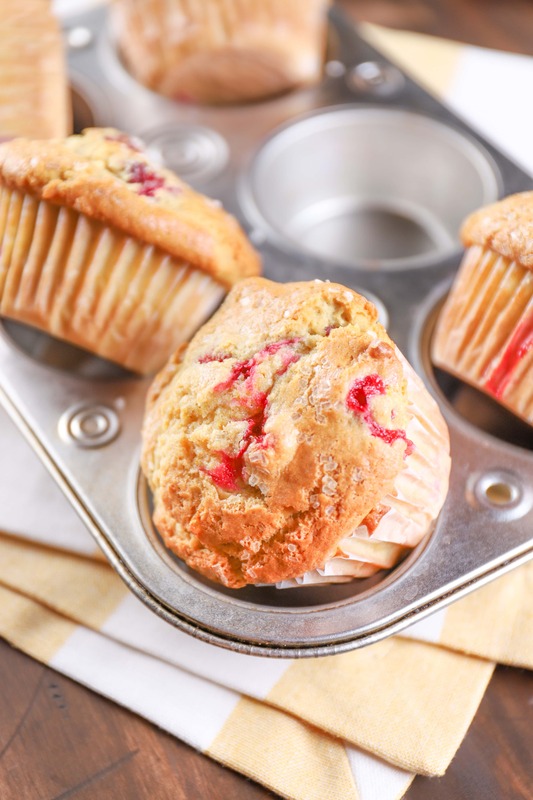 Spray a muffin tin with non-stick cooking spray or line with cupcake liners. In a large bowl, whisk together flour, sugars, baking powder, salt, baking soda, and cinnamon. In a separate bowl, whisk together milk, orange juice, eggs, and vanilla extract. Add wet ingredients to dry ingredients and stir until just starting to combine. Add in melted butter and stir batter until just combined. Gently fold in orange zest and cranberries. Divide batter among 12 muffin cups. 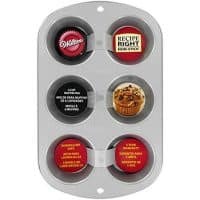 Depending on the size of your muffin tin, each cup will be ¾ full to almost completely full. Sprinkle with optional coarse sugar. Just made these yesterday, it was my first time baking with fresh cranberries and I totally see what the fuss is all about! Orange and cranberries are definitely a match made in baking heaven. These muffins came out light and fluffy, tasted right out a fresh bakery! I can’t wait to try these out with fresh blueberries next time around!